At McQuillan Boiler Services we pride ourselves on our attention to detail and great customer care. But don't take our word for it, see what our customers are saying. McQuillan Boilers, Ken Crockett/Dennis Martin/Ray Appleton and various engineers have worked for me on the site at Clayton, maintaining services and attending to any breakdowns NOX and SOX chimney records are also provided. I moved to McQuillans in 2011 following works by a previous contract not meeting our strict standards on site. 5 yearly brick work removal from burner head for weld inspection, re-build of cement blocks and re-fire boiler. Coded Welding repaires to boiler tubes to the satisfaction of our insurance company. 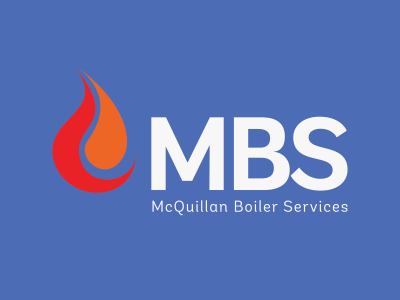 McQuillians have provided me with a 24hr call our service, which we have used for breakdowns, we we are a single stream boiler, running a 24/7 operation to 6 re-actor ovens and heating requirements across the site. I have used McQuillan Boiler services for the past 15 years for annual boiler inspection, five year NDT strip down and general breakdown cover on our boilers. I am confident that if I have a problem with a boiler that we cannot rectify in house McQuillans will get me an engineer onsite quickly and they will endeavour to get our system back up and running with minimal disruption to production. All of their engineers are fully trained, competent, and friendly. They take pride in not only doing a good job but they ensure that at all times they adhere to site Health and Safety rules and never leave site without checking that the boiler is running correctly. Our new production facility has just finished being built and I was tasked with sourcing a bigger boiler due to our business expanding, my first port of call was to Andy McQuillan and after a site meeting to discuss our requirements in detail Andy was able to give me a couple of options within a very short span of time. We have now purchased an 8000 kg/H boiler from McQuillans that was fully refurbished to a high standard which came with a full 5 year NDT, 12 month insurance inspection and all of the valves were certified giving us piece of mind, we are very pleased with the service that we have received and would highly recommend their services whether it is the supply of boilers and ancillary equipment or the boiler engineers services. Our company was recommended to Andrew McQuillan for the loading and transportation of 2 x 30 ton / hour Danstoker Steam Boilers ex Polestar, Sheffield UK to Alexandria, Eqypt back in September 2016. From our first meeting at the Polestar site in Sheffield, I've found Andy to be consistently pleasant, tackling all issues with dedication, with a professional attitude and with a smile. Besides being a joy to work with, Andy has proven to be a very responsible client manager who is able to take control of situations and come up with creative ideas amicably beneficial to all parties. Even though he is fairly young, Andy has already shown great familiarity with contracts, technical specifications, cost estimations and protocols and procedures. being a quick and keen learner, Andy always looks to probe and find out in detail all requirements to successfully complete the project. Moreover, Andy has always responded quickly and positively to demanding situations. As an example, when one of our trucks transporting a boiler has a small fire caused by a tyre burst, he was quick to jump into his car along with his Chairman Pat McQuillan, and drive 250 miles to get a first hand view of the incident, assess the damage, if any, and give our team a helping hand for the onward safe transportation of the boiler. The fact that Andy and Pat were immediately able to inspect the boiler and declare it damage free, we were able to ship it with no extra costs and unnecessary charges, and get paid in full from the receivers in Eqypt. I am very confident that with his perseverance, Andy will continue to successfully grow as a professional and as a human. I wish him all the very best and look forward to work with him on many more projects in the years to come. McQuillan Boiler Services have been attending Greencore Grocery Ltd site for the past 15 years. In that time that have always provided excellent service to our company and the staff that they employ deliver a high standard of workmanship and have a fantastic working knowledge of the tasks they carry out. Supply and arranging of boiler brick work specialists and welders for insurance repairs. It is my pleasure on behalf of Interpac to endorse McQuillan Boiler Services. Interpac is part of MM Group for the manufacture of paper and corrugated boxes; the group is considered as one of the MENA region most profound leaders and experienced suppliers for paper and corrugated boxes. In September 2016, we purchased two Danstoker boilers from the McQuillan Boiler Services. they handled the supply, dismantling, marking up and loading of the equipment. During the project we have experienced the most responsive support by the McQuillan as well as high level of proficiency in the equipment handling. Mr. Andrew McQuillan himself handled our project and he has been following up with us on the progress since then. The McQuillan family has shown to be a great partner that we will definitely involve them in future projects. 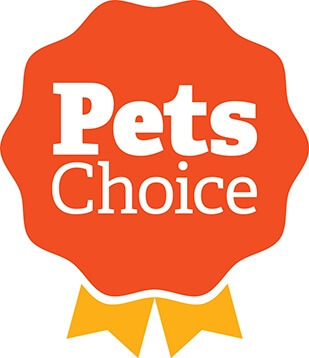 I would like to take this chance to thank Mr Andrew and his team as well as to recommend them to you. It is with great pleasure, that I am writing to recommend the McQuillan Boiler Services. After spending weeks sourcing a reputable steam boiler installer, we came across McQuillan Boiler Services and as soon as I contacted them, they were professional, genuine and competitively priced and we knew straight away that we wanted them to install our boiler. It has now been 12 months since we used McQuillan Boiler Services to install our steam boiler and we have been completely satisfied with their service and performance. They did an excellent installation job, the engineers were always reliable and punctual, and they offered the most competitive rates we could find for installation and supply. 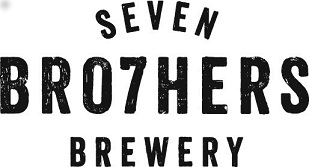 Their service and can-do attitude were second to none, nothing was too much trouble for them and the advice they provided was unrivalled. We will be using McQuillan Boiler Services to provide our annual boiler service and have also hired them when needed for extra jobs and maintenance, such as; replacing gaskets, checking and cleaning equipment. I'm more than happy to recommend the services of McQuillan Boiler Services.